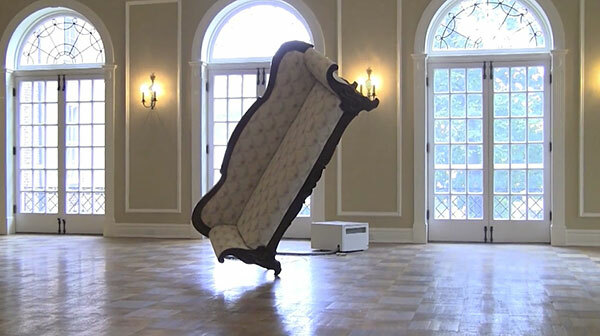 A sofa that balances on one leg, controlled by a robotic assembly that exerts a force to prevent the sofa from falling. Balance comes from within. It’s a delicate act, and sometimes we fall down. A 170 year old sofa balances precariously on one leg, continuously teetering, responding internally to external forces. A meditation on the nature of human relations, and the things we build to support them.